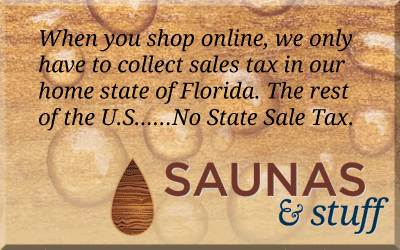 Bring comfort and relaxation to your patio! 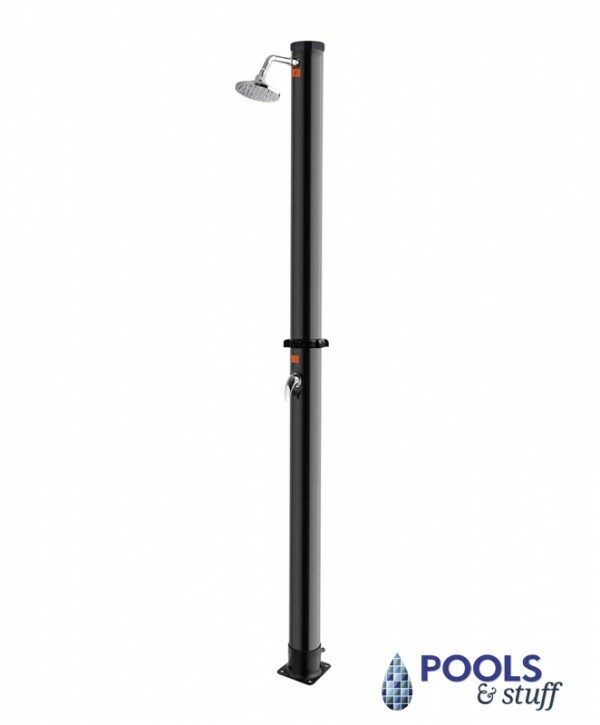 Complete your backyard oasis with the Poolside Solar Shower! 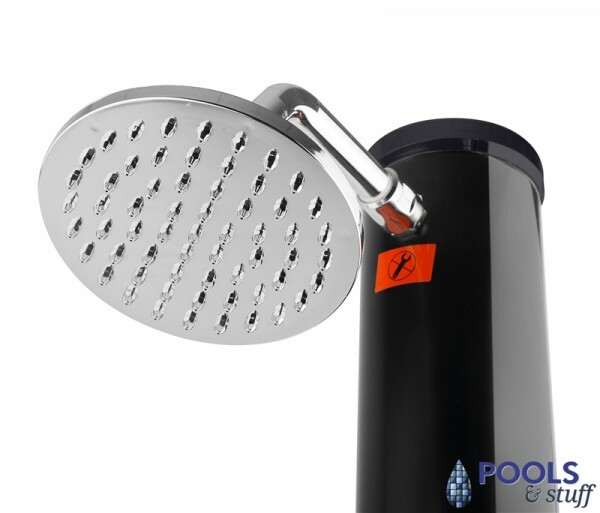 This solar shower provides a convenient way to rid swimmers of pool chemicals after a dip in the pool, but is also gentle enough to present anyone with a refreshing rinse of solar heated warm water at all times of the day. It features an internal reservoir tower that is nearly 7 ft tall that collects the sun’s rays and warms the water housed within. With one turn of the stainless steel handle, the enlarged 6-in diameter shower head sends out a flow of soothing warm water upon the bather. 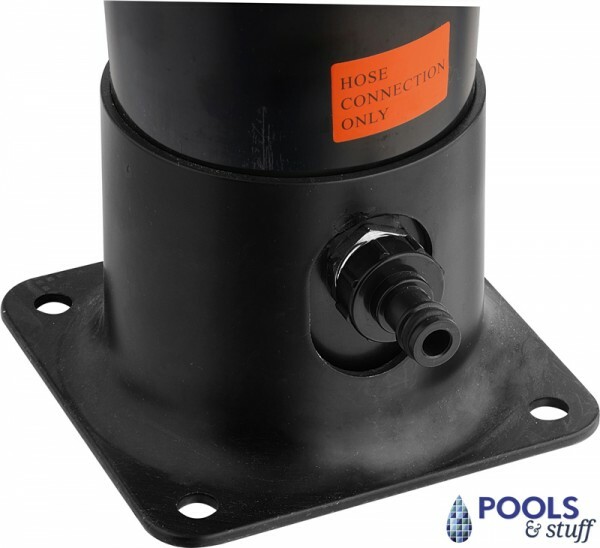 The Poolside Solar Shower also comes complete with a scalloped resin base to prevent it tipping over while still maintaining a stylish appearance in your backyard. 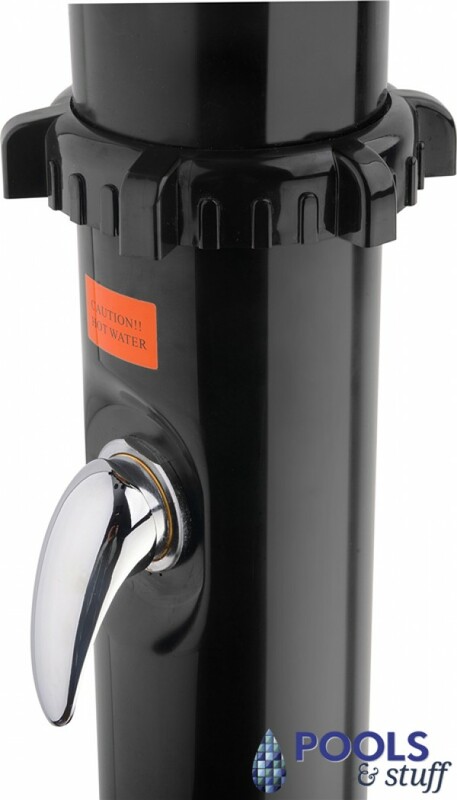 Assembly is quick and easy with little to no tools required, and has a built in hose port in the base of the tower for a garden hose water supply that will allow your backyard to become the perfect retreat all season long.